The numerous events of the Monterey Car week around Pebble Beach and the Laguna Seca racetrack in California rank among the world’s most noted automotive events. 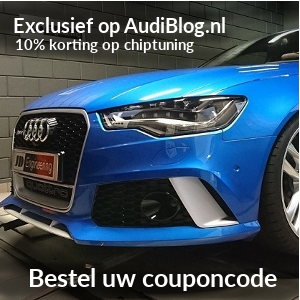 Audi Sport is taking the opportunity to present its latest high-performance models such as the Audi R8 Coupé V10 (combined fuel consumption in l/100 km: 12.3 – 11.4; combined CO2 emissions in g/km: 287 – 272**) or the Audi RS 5 Coupé (combined fuel consumption in l/100 km: 8.7; combined CO2 emissions in g/km: 197) to an audience of several hundred thousand enthusiasts. The Audi R8 V10 plus Spyder is being shown for the first time in the United States. With 449 kW (610 hp) and a peak torque of 560 Nm (413.0 lb-ft), it is the most powerful open-top Audi ever built. At Laguna Seca, the spotlight is on the current Audi Sport racing vehicles: The Audi R8 LMS GT3 is among the currently most successful GT3 racing cars in the world. This year, for example, it won the two 24-hour classic endurance races on the Nürburgring and at Spa. The Audi R8 LMS GT3 shares half of its components with the road version, demonstrating the close ties between Audi Sport’s motorsport and production vehicles. Also on show is the new Audi R8 LMS GT4, which made its racing debut this year at the 24-hour race on the Nürburgring. The Audi RS 3 LMS will be in action as the lead car on the Laguna Seca racetrack. The legendary Audi Sport quattro S1, in which Walter Röhrl conquered Pikes Peak in Colorado in absolute record time exactly 30 years ago, encapsulates the glorious rally-driving age of Audi’s motorsport achievements capped by four World Championship titles.